Portuguese boss future remains uncertain after training ground ‘joke’. The President of CD Canillas has urged Real Madrid to force Jose Mourinho to see out his contract at the club according to Goal.com. Speculation has intensified regarding the future of the Special One after the Portuguese boss went to visit Canillas’ youth coaches. Mourinho’s son plays for the team and the Special One reportedly visited the training ground, helped put up a photo of an open top Chelsea bus and claimed he would be managing there next season. Real Madrid President Florentino Perez has insisted that Mourinho’s words were a joke but it has added fuel to the fire surrounding speculation Mourinho will leave the Madrid giants at the end of the season. Mourinho’s future has been under constant speculation this season after the club surrendered an unassailable lead to Barcelona following a poor start to the campaign. Canillas President Manuel Alvarez believes Real Madrid should do everything they can to keep Mourinho at the club. 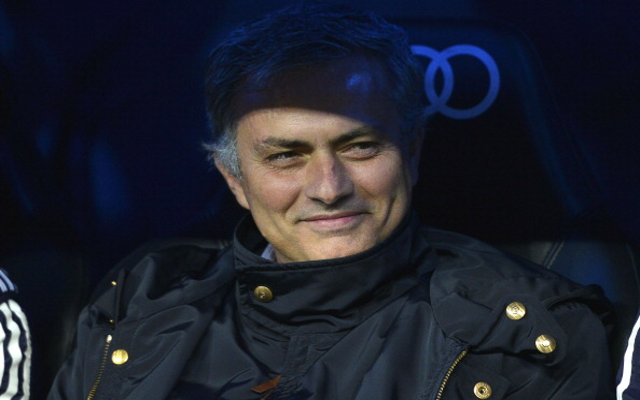 “The thing Florentino should do is force Mourinho to fulfil his contract with the club. He did a good job to put Madrid’s fate in Mourinho’s hands,” said Alvarez. The club are still in with a chance of winning the Champions League and Copa del Rey but the poor league performance has exacerbated tense relations between the manager and the Real Madrid dressing room. Iker Casillas is particularly unhappy with Mourinho after the Portuguese boss became the first Madrid manager to drop the Spanish goalkeeper in over a decade. But Alvarez has stated that he believes Casillas will eventually thank Mourinho. “Iker will be grateful for everything Mourinho’s done. In order to be the captain, and first-choice goalkeeper, you will have to prove yourself each and every day,” said Alvarez.